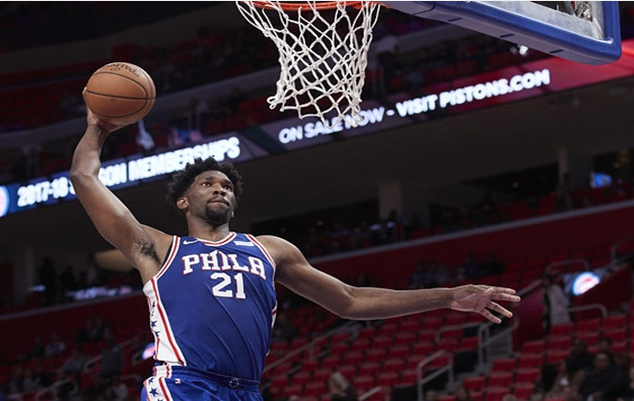 Two of the best teams in the Eastern Conference will face off Tuesday night, as the Toronto Raptors will travel to take on the Philadelphia 76ers. Toronto currently sits at 38-16 with the second-best record in the East. Philadelphia is fourth in the conference at 34-19, and have gone 7-3 over their past 10 games. The Raptors are fresh off a win over the Clippers and 6-4 over their previous 10 games. According to ESPN’s matchup predictor, they’re giving the 76ers a 56.6% chance over the Raptors. Kyle Lowry’s availability for Toronto is looking doubtful, as JJ Redick remains day-to-day for Philadelphia. The 76ers will look to bounce back at home after losing their last game on the road to the Kings. The Raptors and 76ers played back in late December when Philadelphia came out on top 126-101. 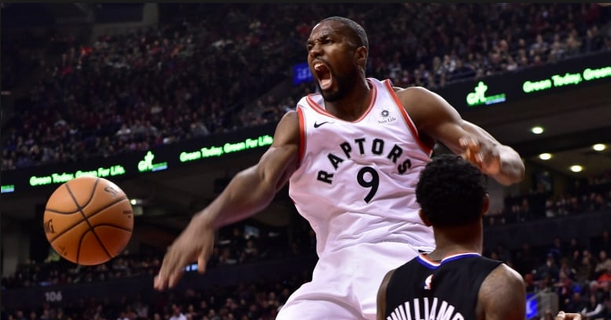 Toronto was without Leonard, Ibaka, and Valanciunas so that loss is pretty justifiable. Most improved player of the year candidate Pascal Siakam scored a team-high 26 points, while Kyle Lowry added 20 points in the loss. The absence of Leonard was huge for the Raptors, as Ben Simmons went off for 26 points, 12 rebounds, and 8 assists. Joel Embiid also had a very nice game with 27 points and 11 rebounds. Redick shot 4-of-5 from beyond the arc for 22 points, as this is a completely different Raptors team when they’re missing three of their best players. Valanciunas has missed a good portion of the season, as he’s just played in 30 games and started only 10 of those. His absence has allowed Siakam to take that next step forward and this team needs Ibaka down low if Valanciunas continues to miss due to injury. Leonard has been incredible for the Raptors since trading for him in the offseason. The superstar small forward is averaging 27.4 ppg and 7.9 rpg, as he’s set to get paid during the offseason as an unrestricted free agent. This is Siakam’s third year in the league, and he has slowly been improving his game. Between his rookie and sophomore season, he went from averaging 4.2 ppg to 7.3 ppg. This season he has improved that all the way up to 15.4 ppg and is also averaging a career-best 6.9 rpg. 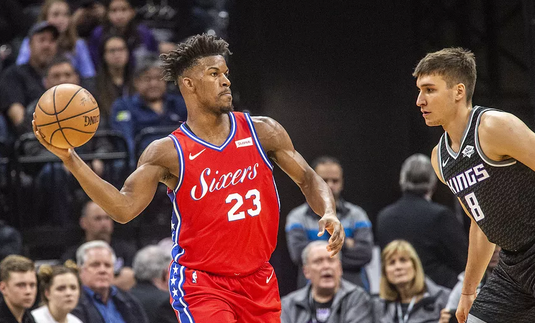 Philadelphia is trying to make the most out of trading for Jimmy Butler and make a run in the playoffs before he enters free agency. Butler is second on the team with 19.5 ppg. Embiid leads the team with a whopping 27.2 ppg and 13.5 rpg. Ben Simmons is always a threat to go off for a triple-double averaging 16.9 ppg, 8.1 apg and 9.4 rpg. The matchup between him and Leonard should be an intriguing battle between two of the league’s best. Some good news for the Raptors is that Jonas Valanciunas is expected to make his return at some point this week. He’s been practicing in full with contact, and the big man even said he got hit in the hand on Monday and was fine. If Lowry can’t go on Tuesday, then Fred VanVleet should be the next man up. Having Leonard back this time around for the Raptors is a major upgrade, as he’ll really help on Simmons and Butler. If Lowry’s health was 100% and the Raptors weren’t playing on the road, we’d choose them, but we’re siding with the 76ers Tuesday night.